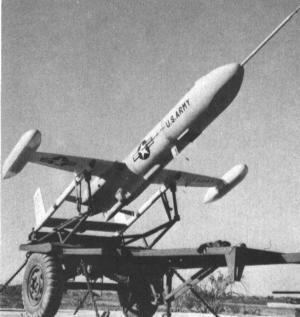 In 1957, Republic won an industry-wide competition for a short-range reconnaissance drone for the U.S. Army. The complete drone system including ground equipment was designated AN/USD-3. The drone itself, named Snooper, was referred to either also as AN/USD-3 or simply as SD-3 (with "SD" usually being interpreted as "Surveillance Drone"). The first flight of the SD-3 occured in January 1959. The AN/USD-3 drone was of twin-boom pusher layout, and powered by a Continental IO-200 piston engine. It was launched from a zero-length launcher with the help of two solid-propellant rocket boosters. It landed with a parachute recovery system, and was equipped with inflatable bags to ensure soft landings. The SD-3 either followed a pre-programmed course or was controlled from the ground by radio commands. It had a quickly changeable nose section, which could house one of a variety of payload options, including photographic, infrared, radar or TV reconnaissance systems. 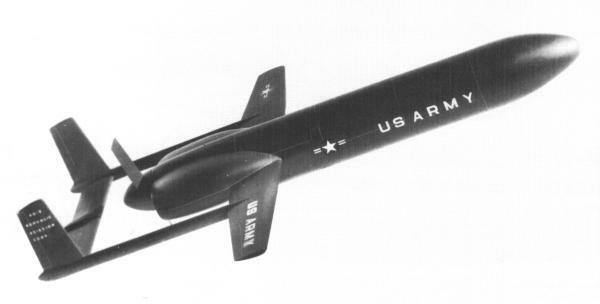 A total of 50 Snooper vehicles were built for evaluation by the U.S. Army, but in the end the AN/USD-3 system did not enter operational service.